The 1s, having beaten Croydon before the Queen’s b’day break, carried their winning form by stunning top of the table Waverley 7-6. The 2s, behind some reliable pitching from Boyesy, pulled out a win over Waverley’s 2s 4-2. Despite stellar pitching from Pook, the 3s did not muster enough offence to overcome North Coburg away 4-3. The 4s let too many runs slip in the 1st dig and played catchup, but couldn’t overcome North Coburg 9-6. However a certain pitcher may have tried to take a shortcut back from 3rd to 1st in the most express way possible…. Pity he forgot about circling back around 2nd first. 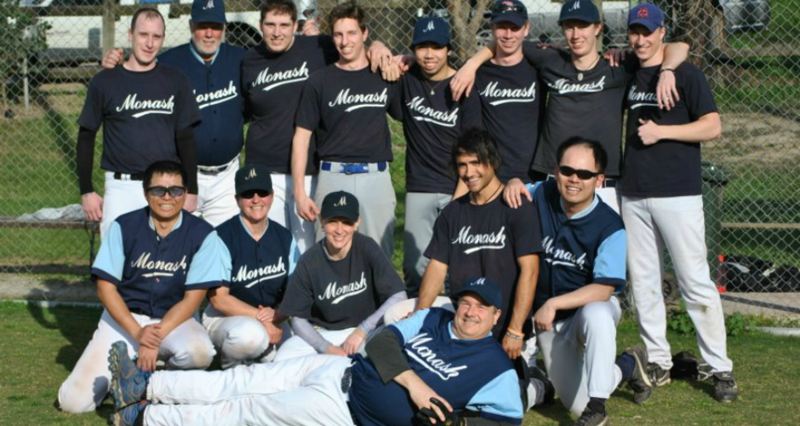 The MonaChicks fell to their arch rivals Melb Uni 6-0.